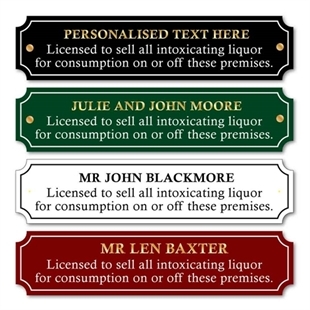 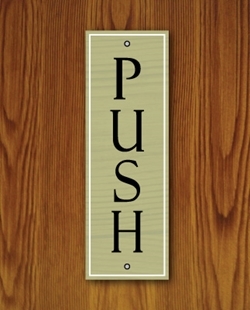 SP-00209 A set of two pub bar push pull door signs. 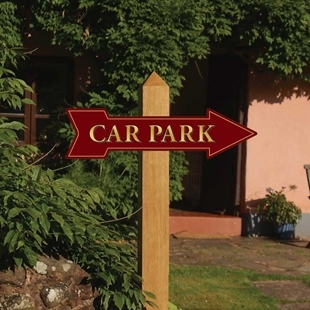 Outdoor robust car park directional sign. 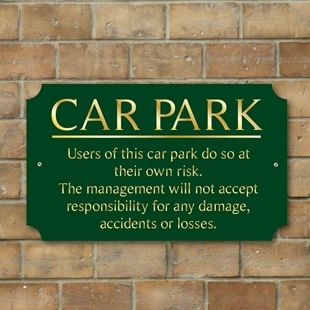 Outdoor robust car park sign. 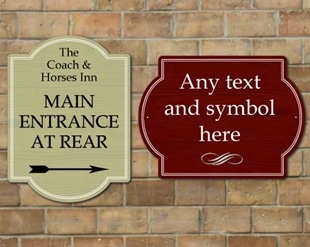 Robust modern pub sign, fully weatherproof and unbreakable. 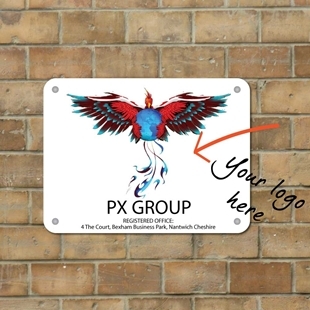 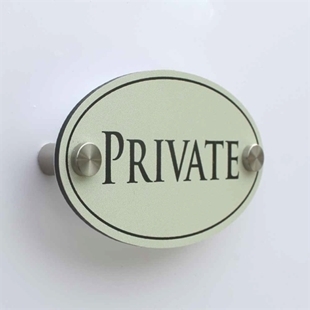 This personalised oval door sign comes in a range of colours to compliment and business interior. 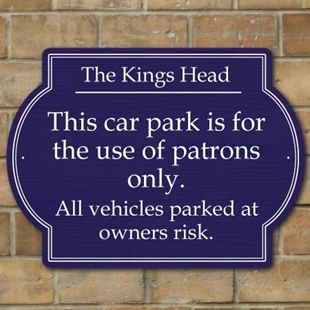 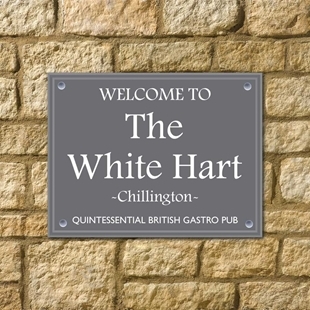 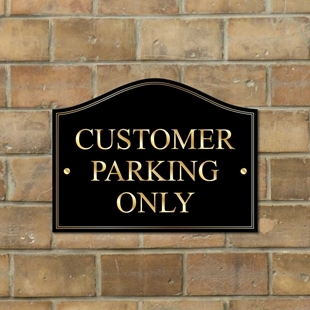 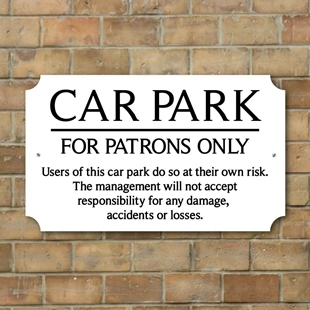 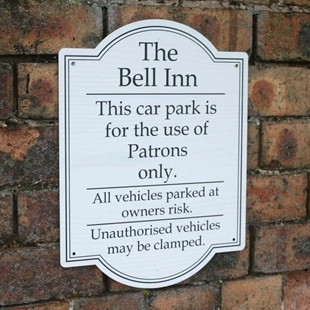 Partons Only Car Park sign with your pub name. 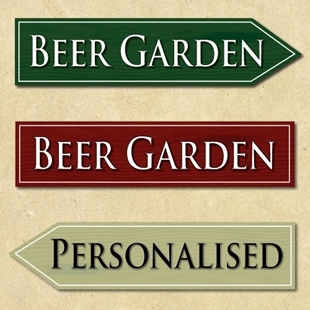 SP-00077 - Personalised Metal Pub Sign Wood Effect Good Food Drink choice of colours and sizes. 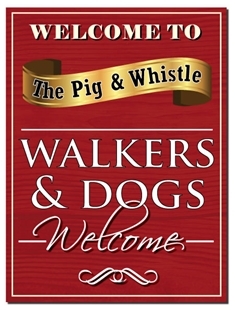 SP-00078 - Personalised Metal Pub Sign Wood Effect, Walkers & Dogs. 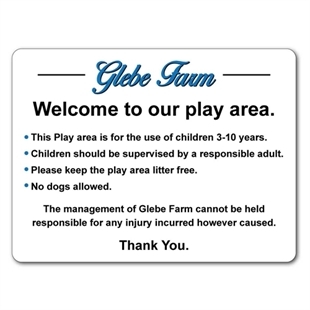 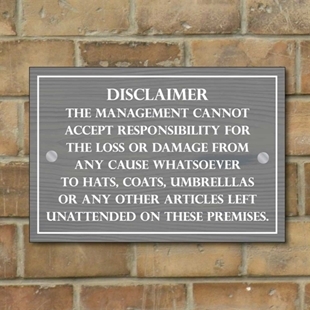 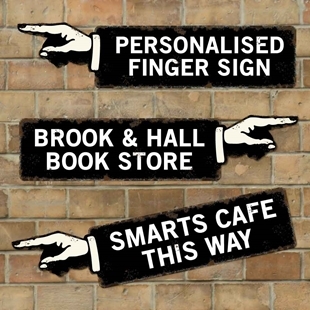 Disclaimer sign for business premises. 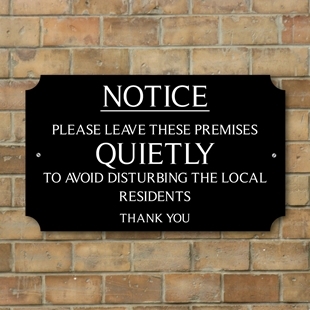 Robust Outdoor No noise sign, Quietly Sign. 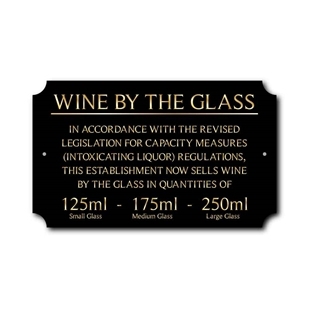 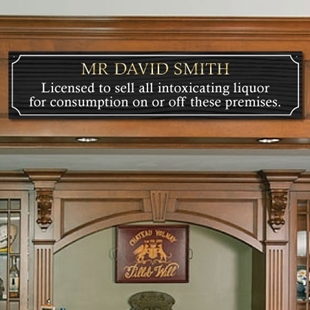 Bar law sign - licensing act 2003. 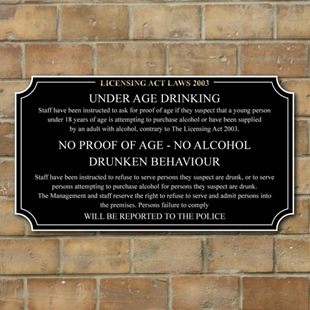 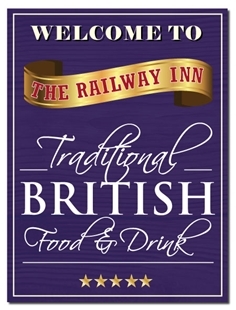 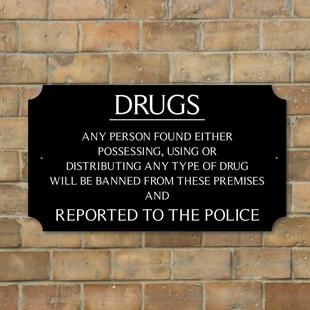 Pub or Bar information notice sign. 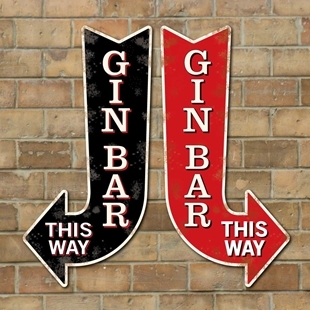 Vintage Style GIN BAR Arrow Sign, GIN BAR this way pointing sign, Home Bar Sign.